Online tutoring is the learning trend of the modern world. More and more people are adopting this way of learning. If we talk about online tutoring option to students and parents, it is highly beneficial to them. Why? It is a result driven learning focused solely on achieving an objective. 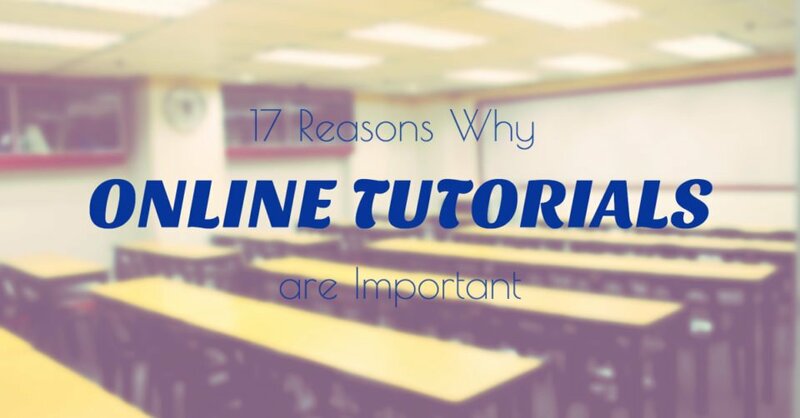 Unlike in classroom learning where students are bombarded with information and lots of it, online tutoring and online review teach every student to be better that everyone else in order to achieve something of importance. The perfect example of result-driven online tutoring is when students are taking entrance exams. No parent would want their children to flunk any entrance exam. Every parent wanted their children to succeed. It maybe for the UPCAT of the University of the Philippines, ACET of the Ateneo De Manila University or DCAT of the De La Salle University. With the success rate in entering the top 3 schools in the Philippines becoming slimmer and slimmer at only 10% admission, access to quality education also became even more difficult. As a professor at the University of the Philippine Open University, I am convinced that online education is gaining traction in the Philippine particularly in addressing issues present in today’s society. In fact, Republic Act 10650 or the Open Distance Learning Act is enacted just last 2014 where it promotes online learning and education to Filipinos. However, the adoption is still due to the stereotypical Filipino culture do not put premium to education obtained through alternative means. Don’t get me wrong, education is still the best legacy a parent can give to their children. Parents are reluctant in adopting technology based learning merely because parents are not used to the medium. The previous generation only knows the traditional four-cornered classroom setting to get a quality education. Self-study has and always been the choice because you don’t to need to spend. Most Filipinos think that the knowledge gained in the classroom should be enough to pass those vaunted exams. However, self-study is seen as the riskiest decision since the probability of admission is only 10%. UPCAT, ACET and DCAT are getting more and more difficult. Students only have one chance to ace it. If they fail, their lives would change forever. If they pass, they can guarantee success for years to come. Still, it is possible but risky. For those recommending enrolling in UPCAT, ACET and DCAT review centers, AHEAD is still the best among all providers in the Philippines. It’s understandable since they are the oldest (21 years) and first in the Philippines to offer these kinds of review. In their 21 years in existence, they gained 31 awards recognizing AHEAD’s founder and the organization. Lastly, they are the only review center to provide Money Back Guarantee to its students banking on their 80% success rate in getting students admitted to premier schools in the Philippines. This is the reason no one chose to use online tutorials as means to pass the UPCAT, ACET and DCAT. Filipinos only know the two because we have yet to see a blended approach in learning. Filipinos only know the two because we have yet to see a blended approach in learning. Is online tutorial better that self-study? Absolutely. It combines the students’ perseverance and intrinsic motivation to succeed through self-study while complementing the students’ weaknesses in some subjects through online tutorial reinforcement. It combines the expertise of a review center while enjoying benefits of studying on their own. Is online tutorial better that face-to-face entrance exam review? Definitely. On the onset, you avoid the Manila traffic that eats up precious time. It also results in savings due to its affordability paired with savings from not spending for travel. An online tutorial can be seen as the blended approach to learning taking the advantages of both self-studying and review centers. Online tutoring produces the same output with more freedom and more values formation than the traditional alternatives. 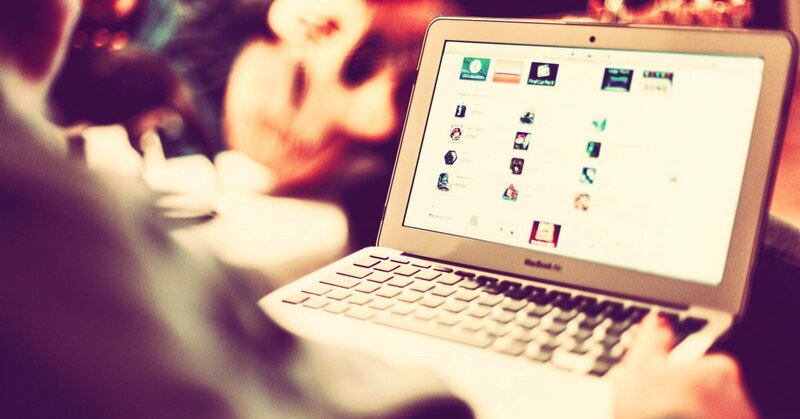 With online tutoring, learning can happen anytime. This flexibility also gives access to answers when questions come up — there’s no waiting until a scheduled day and time for problem-solving. Rossana Llenado, the founder of AHEAD online, said, “AHEAD online provides on demand 24/7 online tutorial and test preparation service serves the learning needs of students in the USA, Canada, Singapore, Iraq and Saudi Arabia, we are now opening our doors to Filipinos who have needs but does not have the time to go to face-to-face reviews.” In general, there’s more time spent learning and less time scheduling on an online tutorial. An online tutorial also relies on the students’ ability to review on their own. The online tutorial sessions only act as the reinforcing medium to clarify confusion and to address weaknesses of students. By indirectly providing training for time management, students can be better equipped with skills at using time management to their advantage – a skill best used in examinations. An online tutorial, like the one offered by AHEAD online, takes an approach suited to every student. Since every student has learning pace and style, an online tutorial provides more personalization that gets better results. Rossana Llenado says, “AHEAD online provides 1-on-1 College Entrance Test review, PSHS review, NMAT review, LAE review, Career Service review, English Skills Training, and K-12/College 1-on-1 tutorials.” In education, the more personalized the delivery the more knowledge is absorbed by students. Because there is no need to travel to review centers, online tutorial results to savings for the parents. In sending kids to review centers, costs do not only include fees. There are traveling costs, food costs and incidental expenses in going to the venue. In an online tutorial, only the fees are the direct costs since students stay right at their bedroom. Education is driven by the quality of the content used. AHEAD employs the research team to provide clients with the best instructional materials. AHEAD is not just a review center. They are knowledge-based with materials designed specifically for the needs of our students. They offer their own content management system and test makers. The best online tutorials offer more that the reinforcing lessons to help student access acquired knowledge in schools. It is not enough just to provide just the review lessons. In AHEAD Tutorial and Review, they also offer critical skills building for students such as speed reading and mind mapping. Speed reading can be useful in entrance exams especially in reading and comprehension. More importantly, it is better utilized when students get back to their high schools and colleges. It a great addition that will stick until they grow old. Online tutorial enables the students to choose from a multitude od subject such as Math, English, Reading and Comprehension, Filipino among others. The great thing in online tutorial and education is that you can freely choose to enroll to unbundled specific subjects and not to the whole program. Education is also driven by the delivery and the quality of tutors. AHEAD employs the best tutors in the Philippines. All their tutors include the young, smart and personable experts coming from the top three universities in the Philippines. One great aspect of an online tutorial is its access to everyone with an internet connection. Yes, that is correct! Anywhere in the Philippines and also around the world, every student or professional can get on-demand tutorial services ranging from English proficiency to Examination reviews. “Internet access in the Philippines has been improving and that is the only signal we are waiting for to promote AHEAD Online”, says Rosanna Llenado. Imagine enabling a gateway for knowledge right at your living room or bedroom for every member of the family to use. A taken for granted benefit of an online tutorial is improvement within the values of the student. By nature, taking courses and tutorials online means a student need learning as much as using them as a platform for success. For parents, this is the dream they wish for their children – the love for learning. With tutorials evolving over time, you can now see top students taking more and more online tutorial to better hone their skills and keeping one step ahead of their class. In this article on just in time learning, knowledge retention has been the issue for most students taking entrance exams. They stock 4 years of knowledge and force to retrieve them on just one instance. It’s a difficult task for every student. This is also the reason why valedictorian status does not guarantee admission to top schools in the Philippines. 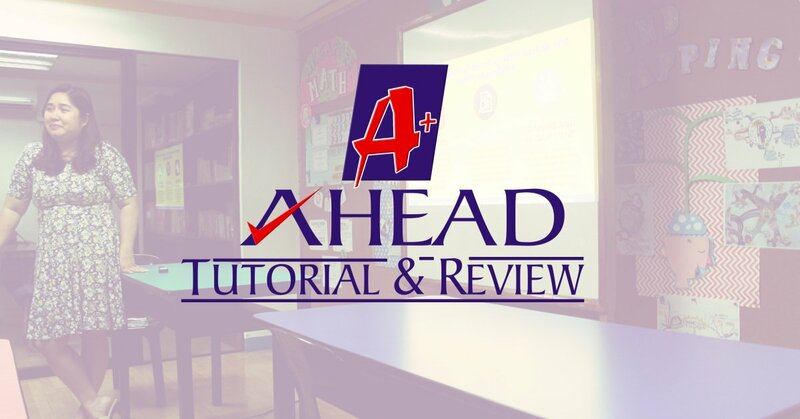 In AHEAD tutorial and review, they focus on how to use the knowledge gained in the traditional education in getting results. They shower students with best practices not taught at schools such as test taking skills, memory enhancing and mind mapping skills. Combined with traditional learning, online learning can become a weapon for some student in staying a step ahead of the competition. Technology nowadays is part of day-to-day lives of Filipinos, It is not enough that only one medium is used in online tutorials. Best tutorials use different channels to suit the needs of every student. The most seen benefit of online learning and tutorial is taking classes right the students’ bedroom. That means no travel and commute involved. This is the very reason business and transactions are now done online – to avoid the dreaded traffic in the Philippines. 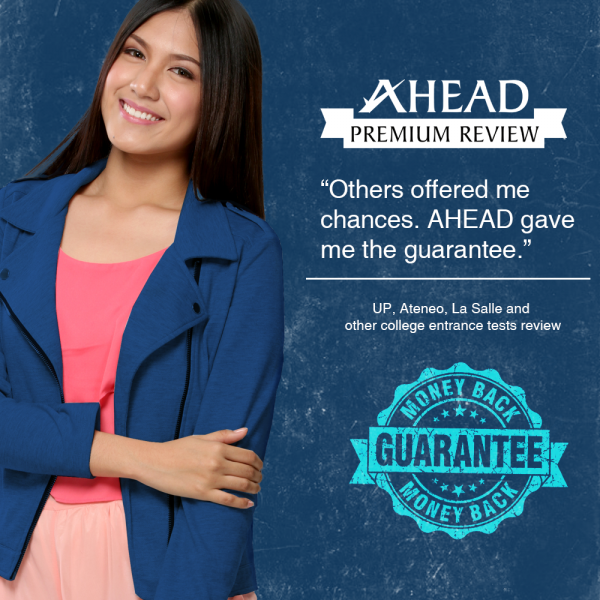 Only AHEAD gives Money Back Guarantee making them unique in the online review scene in the Philippines. With more than 80% success rate in UPCAT, DCAT and ACET review, they offer your money back in case they didn’t make their students pass the said entrance exams. This is their commitment to excellence and expertise. Not only that they promise students AHEAD’s tried and tested process, they promise you future by guaranteeing success. Money Back Guarantee Review Program? Yes, there is a Money Back Guarantee review program for UPCAT, ACET & DCAT! Instead of students spending time browsing in social media and other applications available in today’s world, online tutorials and courses provide more productivity on the internet connection of every home in the Philippines. The current generation’s adoption to technology applications has been exaggerated to the point that their studies and family values are affected. Online tutorials teach students the use of internet connection for personal development and enrichment. Self-studying can be too daunting to an undisciplined student. Without the study habits gained in the traditional educational system, a student will not be successful in using just self-studying as the ticket to premier schools. It entails studying habits and commitment to learning. This is where online learning comes in, it provides guidance to every student on how to focus, how to study and what to do in order to get results. The guidance provided is like coaching where students are provided with tools, skills, and techniques to beat the competition. Asking questions is somehow intimidating in face-to-face instruction. That same fear is minimized in online learning and tutorials. Students are more comfortable asking common sense and complicated questions due to the proximity between the tutor and the student. In online tutorials, students have that perspective that they are control of the situation making them more comfortable. With the benefits of online tutorials and why it is important, enrolling in online tutorials for students is a no-brainer. For one, students can be admitted to premier schools in the Philippines. In addition, the lessons taught to students will improve their student life by being one lever smarter than the average student in his or her class. HEAD has helped tens of thousands of students gain acceptance into the best universities in the country since 1995. With AHEAD, young individuals have come to realize their goals and achieve their dreams. 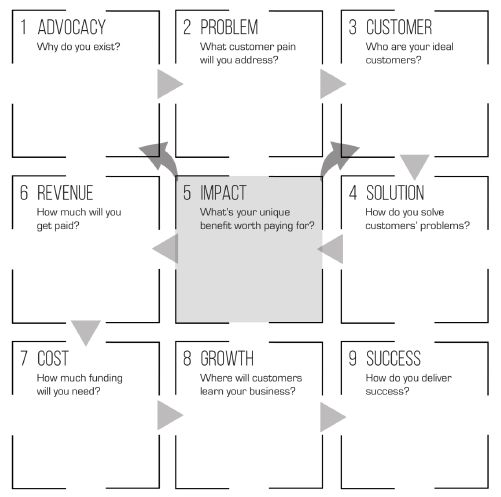 People retain 20% of what they hear, 10% of what they read, 30% of what they see, and 90% of what they do Edgar Dale’s Cone of Experience Theory). At AHEAD, students learn by doing. AHEAD’s diagnostic tests will let your child know where he stands at the start of the review and what he needs to do to improve. These are patterned after the topics, question types, levels of difficulty, and time limits of the real entrance tests. Only AHEAD provides clients and students with consistent support even before they begin with the sessions, all throughout the course, and way after they have completed the program. Study tips, motivators, and extra lessons are shared on AHEAD’s websites, blogs, social networks, and through email. Tutors, lecturers, and staff undergo continuous training by AHEAD’s professional training division, AHEAD Professional Network, which has also trained school managers all over the country in cooperation with Philippine Business for Social Progress. AHEAD review courses are now available through an Internet-based video conferencing system using our learning management platform. Students see, hear, and exchange resources with their teachers and peers online. AHEAD’s simulated tests are the closest your child will get to the actual exams. When your child takes the actual exam, it will be like he’s taken it for the third time. He would be able to answer the time-pressured test with ease and confidence. Constant research and development make AHEAD’s materials the best reference for your child’s preparation to get into top institutions of learning. Your child gets emotional support from AHEAD’s review assistants, most of whom are former AHEAD students; others are UP students who understand the pressure and difficulty of reviewing for college entrance tests. They provide motivation and help instill discipline in him. Your child is guided through the review program by AHEAD’s tutors and lecturers, who come from the Philippines’ top three universities and belong to the top 1% of their batch. They are young, dynamic, and able to relate well with your child. You and your child can attend special AHEAD seminars. The orientation provided on these activities will give you and your child a better understanding of the importance of college entrance exams, deeper insights on the top universities, and tips on what to do before, during, and after the review. Your child gets to focus on topics that will appear in the actual exam. With AHEAD’s unique test-based review programs, which are patterned after specific college admission tests, he gets the right preparation for the right exam. Speed reading comes in handy in high-pressure admission tests with time limits. AHEAD’s introductory session on speed reading will help your child increase his reading rates and comprehension levels. The human brain has an almost infinite capacity to process information. An AHEAD review introduces your child to mind mapping, a learning tool proven to improve memory and enhance creativity and critical thinking. Weeks before the actual college entrance tests, your child may attend a full-day refresher course on each of the entrance tests he reviewed for during the summer. The refresher course not only “refreshes” his mind or helps him recall the topics taken up in the review classes, it also boosts his confidence and gives him added inspiration. AHEAD reviewees have consistently registered the highest passing rate in the admission tests of the top universities. AHEAD is the only center that publishes a list of its passers every year. Respected organizations say that AHEAD is the best tutorial and review center in the Philippines. 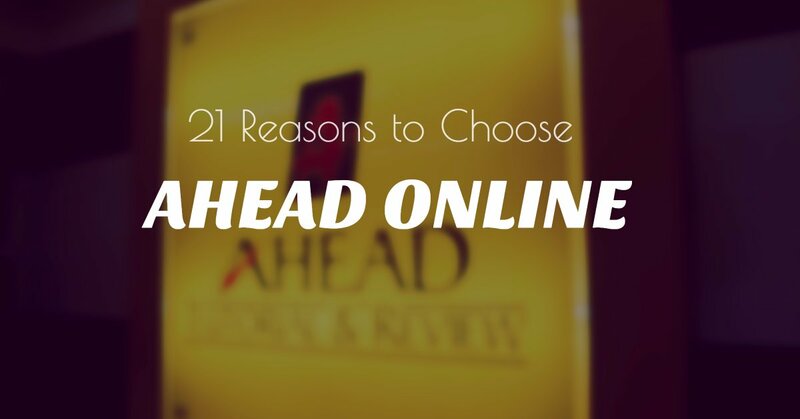 AHEAD takes on a global perspective, striving to give its students world-class service. It is partnered with and approached by a number of international companies and organizations, which share its passion for excellence. Through such partnerships, AHEAD further improves its programs and materials, bringing them up to par with the best in the world. These tests serve as additional practice for students. We create a fun learning experience that makes lessons interesting to learn. Walk into our classrooms and you can feel the energy of our students. Whether it is Math, Science, or English, our teachers use unique and proven methods to engage any class. The founder is an outstanding alumna of the number 1 university in the Philippines, while the founders of competitors are not even graduates of the top 10 universities. This is important because all three companies are preparing students to get into the top 3 universities. She also took Masters units in Ateneo and AIM. * Only AHEAD Tutorial and Review offer online review, online tutorial and simulated entrance exams for UPCAT ACET DCAT . For more information, contact them through http://online.ahead.edu.ph/. Online tutorials are priced approximately PHP1,470 per hour ($30 Dollars). **Visit AHEAD at their official website at http://www.ahead.edu.ph/.